I can see two in stock, but they have a 5 euro p and p charge taking the gbp price to 34 now. Yes, they've sold out. Managed to order, hope they can fulfill. Where's best to get that from? That's my #1 choice of sidekick controller to the Pro too, but I have nostalgia for the SNES shape and play 2D games which it's perfect for. Perhaps that doesn't apply to everybody (confused) Shame 8bitdo dropped the SNES multi colour buttons in the latest version. I don't know one good reason why somebody would but this instead of the cheaper but infinitely better 8bitdo SN30 Pro. Decent price if you're ok with small cosmetic imperfections or damaged packaging! Test the heck out of these. I had three like news (admittedly from Tesco) and returned 2 - rumble pads and headphones. I just emailed them in hopes they'll offer something but they just said they'll file the complaint. Didn't want to return it because I had cleaned it up already and asides from that, there was no damage to the controller at all. Not a chance amazon would "do nothing"
Innnnteresting: I've just started a return for one where the stick will often come to rest pointing slightly down and right. Ms Croft keeps moving out of cover (ninja) Fingers crossed the replacement works. Having read these comments I'm considering giving it a clean before sending it back, but... let's face it I won't. Yeah but Argos is just one UK business -factor in other businesses employees on top of Argos that Amazon strips business from and pays minimal business rates and tax and you see their employee count is miniscule in comparison. Theres numerous reasons why the high street is declining but online shopping with retailers like Amazon is a major factor. I can only speak for myself and the experience I have had, which has always been positive. The worst customer service in the world !!!! They are so busy for replay . Dont care about customers!!!!!! Even better. Didn't look at it to closely. I'll keep the Game Pass for when they release a new game I want to play. I usually play it for a couple of weeks and then never again. :-) Gold is topped for a couple of years! 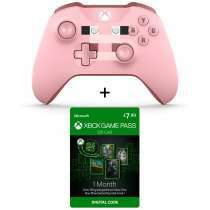 It should be a card with 14 day Gold on one side and 14 day Game Pass on the other. Got mine yesterday (same day delivery - didn't know Argos did that). No issues with joysticks; One circular seal on the box and sealed batteries inside. Also a Games with Gold 14 days trial code. 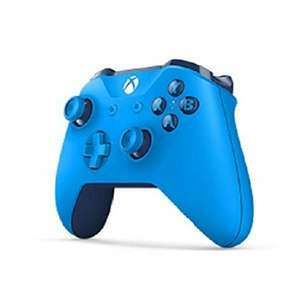 Never miss a 'Wireless Controller' deal again! Thanks! I think it may have been a error, the rest all seem out of stock now too :( Expired for now. wait till checkout before confirming price gets deducted. Is this good for other games other than Smash Bros? 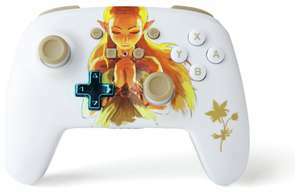 are you using Exlene wireless gamecube switch controller picture, but gave powerA's store link?? I have a wired Pikachu yellow GC controller I bought from Nintendo UK. Brilliant controller for precise zero lag control in racing games and platform games. I just use the same credentials as Amazon UK and it works ok for me. I use a thumbsticks extender bought a pack of a load on eBay from China for under 2 quid and obviously being longer means you can increase the sensitivity and just move it less (leverage like a spanner (lol) ) never not using it. But yer even with the sponge there would still be no engagement with all the slack. Just think PS4 trump's Xbox here. And seems to have less lag always for me. back up to £40.95 deal expired. I am 35 so old basically. When I was younger they had more than twice as much resistance. I used to be really good at fps's but now I struggle. I shamefully paid a fiver the other day for some rings of sponge to put round the thumbstick. The difference is night and day honestly. For such a stupid little thing the difference it makes to the feeling of thumbsticks is unbelievable I would say it double the tension, thereabouts. The only other option (without doing a mod yourself) is Battle beaver customs. You can either by the module with the mod fitted, or you can get the full controller with the mod already done. but can take 7 weeks as far as I heard and the postage is not cheap. 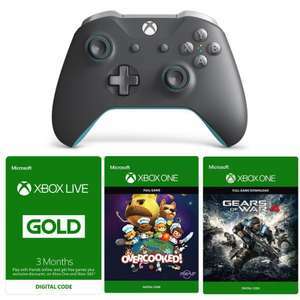 Division 2 reception seems fairly positive and the extra controller makes this a good deal to me. Crackdown is a dud but good if you see as a freebie. Heat. This'll make you laugh. Do these work with an Xbox 360, please?!!! Showing as £44.95 for me? Received mine today. Definitely not new - there's dirt on the port on the bottom and the box was unsealed. Not too sure what to do, does ebay have a way to request a replacement? I can see returns but there's no mention of actually asking to get what i paid for, just refund. Code does not work for me, expired?